The latest data and analysis from Your Move has revealed that, amongst other things, average rent in the nation was £574 per calendar month (seasonally adjusted) in November 2018. On a non-seasonally adjusted basis the average rent was £584. According to the data, the Highlands and Islands region has long led the Scottish rental market, but was toppled this month by the Glasgow and Clyde area. Prices in the city and surrounding areas increased by 14.1% in the year to November 2018. A typical property in the area now rents for £616 per month. Despite no longer being top of the charts, there was strong price growth once more in the Highlands and Islands area. Prices grew by 13.1% in the last year to reach £699, the survey reported. It remains the most expensive place to rent in Scotland. 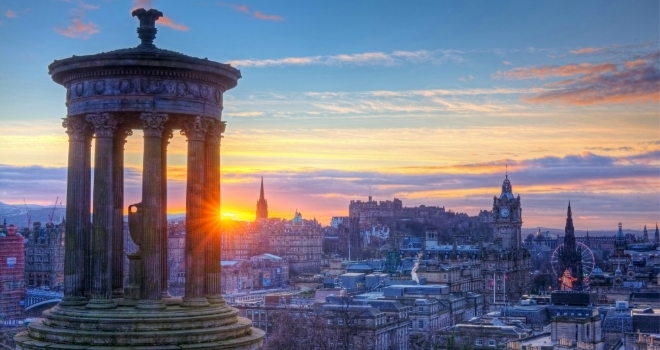 Edinburgh and Lothians was the third and final region to see rents increase. Prices in the capital city rose by 3.1% in the last year and now stand at £687. Two regions saw prices fall on an annual basis. They were the South of Scotland, where prices dropped by 4%, and the East of Scotland, which recorded an average 1.7% fall. The average property in the South of Scotland now lets for £535 per month while in the East of Scotland this figure is £530. They are the two cheapest places to rent in Scotland. When all regions are considered, the average rent in Scotland increased by 0.4% on an annual basis. The seasonally adjusted average rent in Scotland was £574 this month. The non- seasonally adjusted basis this figure was £584. Compared to the previous month, all regions were flat or posted modest rent rises. There was another fall in the number of tenancies in arrears during November, Your Move found. The survey recorded 9.9% of all tenancies as being in arrears. This followed the recent trend of improving tenant finances. Some 10.4% of all tenancies faced financial problems of some kind last month, while in September this figure was 11%. On an absolute basis, the number of households in serious arrears – defined as two months or more – was 9,386 in the month. Brian Moran, Lettings Director, Your Move Scotland comments: “After a prolonged period of excellent growth, the Highlands and Islands region was replaced as Scotland’s fastest growing rental market. Despite stellar growth in the Highlands and Islands, the Glasgow and Clyde region was able to post stronger rent increases in the last year.